The tension was almost unbearable. Phil was meeting that day to cast the video, and I had no idea whether or not I had the job, or given our entanglement, whether I wanted it. Brooding wouldn’t help so I stomped into my bedroom and grabbed my tap shoes. On an impulse, I also grabbed a framed Harvey Edwards print I’d been thinking of hanging in my room. I stomped into the T.V. room and tossed my shoes next to Glen’s stereo. The walls were covered with his art, mostly pictures of women, and two of his precious Niedemans. I took one down and replaced it with my Harvey Edwards. It was a fair-sized room, with a wood floor, partially covered by an oriental rug. Along one wall was a series of bookshelves, and two windows. Pillows were scattered about, and there was a big pile in front of the T.V. located in a corner next to the bookshelves. Glen’s super system stereo, complete with digital turntable, radio, boosters, streaming computer and two four-foot-high speakers took up a good portion of the wall opposite the windows. Mirrored tiles had been stuck onto the adjoining wall in patches. A small stack lay on the floor next to it. Glen had been taking down the tiles because he didn’t like them. I decided I was going to put them back up. I went over and stuck one in a hole. It stuck for about three seconds, then came tumbling out. I just barely caught it. I sighed. I was going to have to get some glue. I’d ask my father. Dad knows all about all sorts of stuff like that. I stomped over to the stereo, and got my phone connected. It took me a minute to find the song I wanted. While I was trying, I vented on the poor phone. I finally found the song, put it on pause, and put on my tap shoes. I warmed up quickly. I wasn’t stressed enough to risk a pulled muscle. I rolled up the carpet, and slammed on the music. The beginning was slow, so I warmed up my ankles with toe taps. I was ready when the main body of the song started. Facing the mirrors, I went into the relaxed time step. It was a routine I’d learned years and years before. I liked it because it had lots of stomping in it. About a third of the way through the song, Glen appeared. “Why are you dancing?” he asked. “I don’t care right now.” I made a mental note to get some masonite pieces to cover the floor when I was tap dancing. I paused for the section where the heavy stomping came in, accompanied by lots of fast shuffles. Glen watched. Usually anything that isn’t completely modern doesn’t interest him. But I think he was impressed. He waited until the song was over. Breathing heavily, I turned the phone off. “What was that?” Glen asked. “Poor Delsie.” Glen started picking at one of the tiles. “Don’t you touch those!” I snapped. “You have no taste.” Glen grinned with lofty airiness. I rolled my eyes, and sat down, stretching out. I just grinned at him. Glen swallowed. I laughed. Glen shrugged. I went to make my calls. The first was to the company that had employed Kyle Hoffman. I got handed around three times before I was able to ask my questions. “Let me pull up the file.” There was about a minute’s pause while Mr. Haggerty clicked the keys on his computer. He gave me the address, and the exact date of Hoffman’s departure from his former job and his date of hire there, which I wrote down. “I doubt it, Mr. Haggerty. It’d be very hard for him to pay it back. Thanks again.” I hung up fast. I compared the address I’d written to the business card and smiled. My next call went through right away. “Mr. Grisom, my name is Elizabeth Barrett, and I’m with Entertainment Plus. We’re a marketing firm for the entertainment industry, and I’m conducting a survey to help determine the mid-week activities of professional adults in the Los Angeles area. Would you mind answering a few questions for me?” I had written the speech down and gone through it with just enough boredom to suggest I’d made this call at least forty times already. I wasn’t sure if it was necessary, but I called the local Bar Association, as Mrs. Sperling had requested. The information I got was pretty interesting. I pulled into a parking space in front of Dolores’s Gallery. We got out and went in. For once, Dolores was in the front. She waited for us with an average sized man with strong Hispanic features, and a huge bushy moustache, and long fly-away hair. “Here he is, Delilah. He got back in town Wednesday morning,” said Dolores. Gonzagos eyes grew wide, and he darted out. I started after him, but Mrs. Sperling held me back. “Now you done it, Delilah,” growled Dolores. Mrs. Sperling was pensive as we hit the street. “Where to now?” I asked. We got Eleanor into the car, and took off. Mrs. Sperling remained distant. At the security company, the man we wanted was in, and even better for us, working day shift at the desk. He showed us why. The cast on his leg extended to his knee. “I was playing football with the kids over the weekend,” he explained. Mrs. Sperling was almost prickly when we got back to the car. But Mrs. Sperling refused to elaborate. At home, I called a friend of mine who’s a travel agent when she’s not auditioning. I had to beg, plead and practically crawl, but she relented and let me have the phone number I wanted. Mrs. Sperling listened with a great deal of amusement. 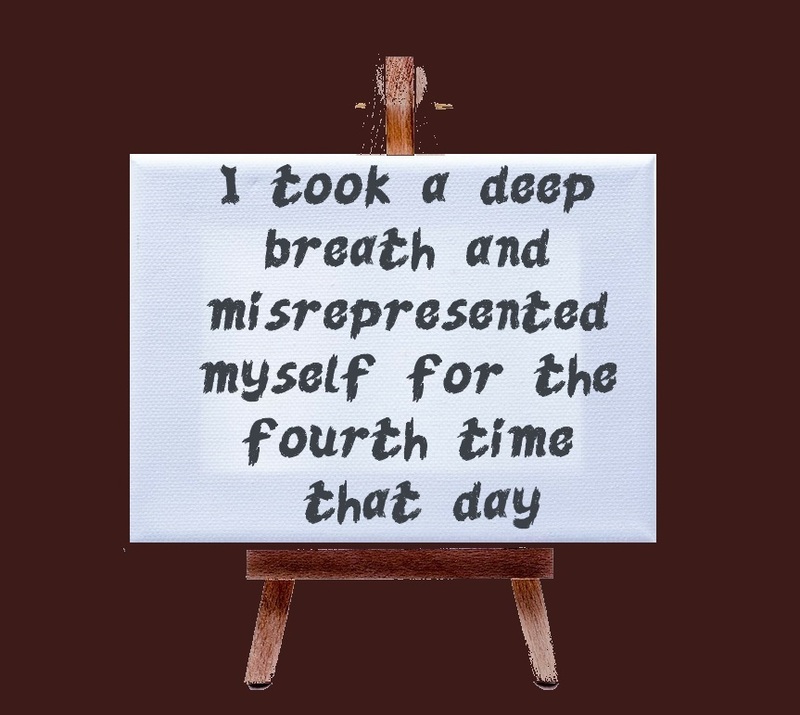 I took a deep breath and misrepresented myself for the fourth time that day. Muzak floated into my ear while I waited for the right person to answer their phone. “Yes, may I help you?” a pleasant female voice answered. “Well, I guess my Mr. Gonzagos has been a victim of credit card fraud. Thank you very much.” I hung up fast. “That doesn’t let him off the hook,” I said.